How many times have you gazed at a Classic Yacht Calendar wishing that you had been there? Well, turn those daydreams into reality by joining us at the Corinthian Classic Yacht Regatta, presented by Officine Panerai, August 12 & 13. 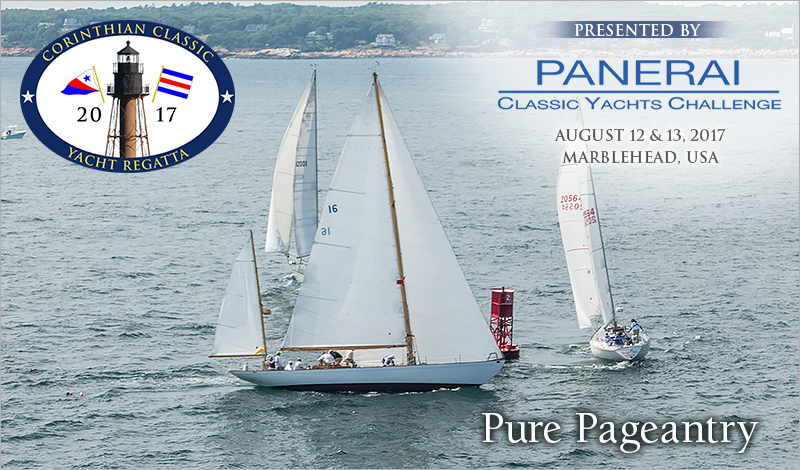 The event is all about “Pure Pageantry” and is just as much a rendezvous of classic yachts and “characters” as it is a well-organized regatta. Beautiful? Absolutely. Fun? Without a doubt. The "Panerai fleet" is open to sailing yachts with a minimum waterline of 20', made of wood aluminum or steel, designed and built using original methods and materials and built on or before 1970. Spinnakers welcomed. The season is short. Plan on being a part of the “pageantry” this summer by registering for the Corinthian Classic, August 12 & 13. Instructions to enter can be found on our website at www.corinthianclassic.org.